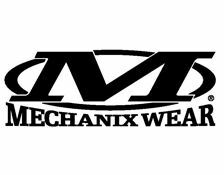 Mechanix Wear M-Pact fingerless gloves are suitable for a range of tasks including weapons handling, equipment operation and maintenance and repair tasks. The knuckle impact guard and Thermoplastic rubber protection on the rear of the gloves prevents small cuts and abrasions whilst giving you maximum free movement. The Armortex palm reinforcement gives great gripping power and the hands stay cool and dry with the TrekDry material. Also features velcro wrist adjustment for a great fit and a nylon pull loop. Sizes available – medium to Xtra Large. Weighs – 116 grams. Colour – Coyote.